From hatching, to growing up, the extraction all the way to collection. Raise your planet of monsters through they're entire lives whether it be as little as five minutes or as long as five months. 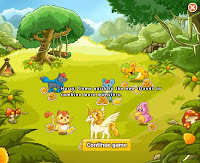 Monster's Planet is a friendly Breeding game where you start off on a planet with simple insect DNA and progress by gathering experience and coin mostly by combining DNA of different monsters and each species has seven colors so there are different ways to obtain new species'. 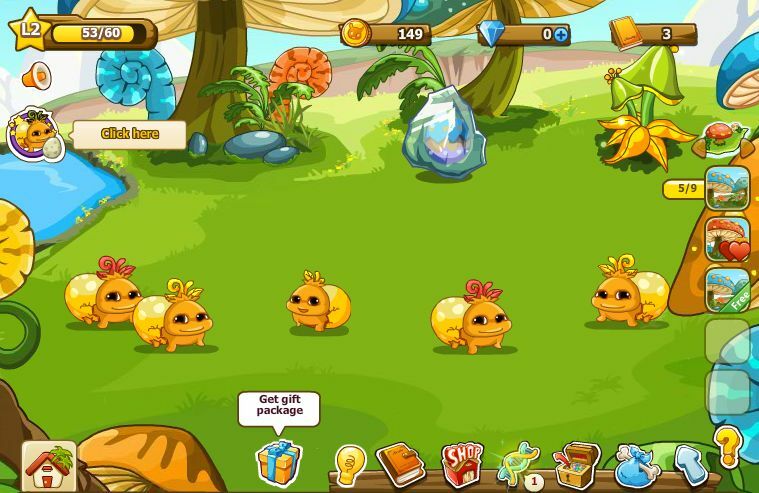 In the beginning, players have just two strands of DNA, and must breed new creatures, obtained by breeding and buying available eggs in the shop. 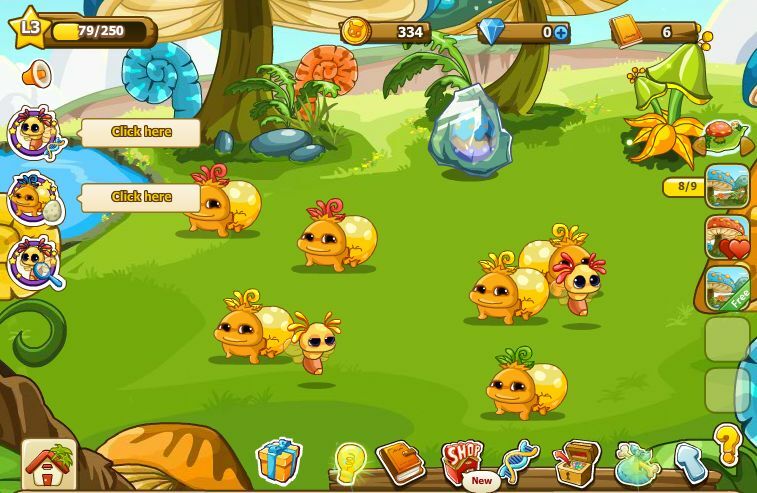 The insect roaming grounds is for raising insect monsters, when players reach required levels, new creatures such as mammals, fish, birds, etc become available and they all have their own roaming grounds. Breeding is achieved by combining two strands of DNA in the Synthesis Lab, eggs are produced and then hatched in roaming fields. Having friends grants players availability to some extra exp & cash. Also, friends can harvest DNA from each others monsters if the monsters owner is away, but friends cannot identify or collect anyone else monsters. 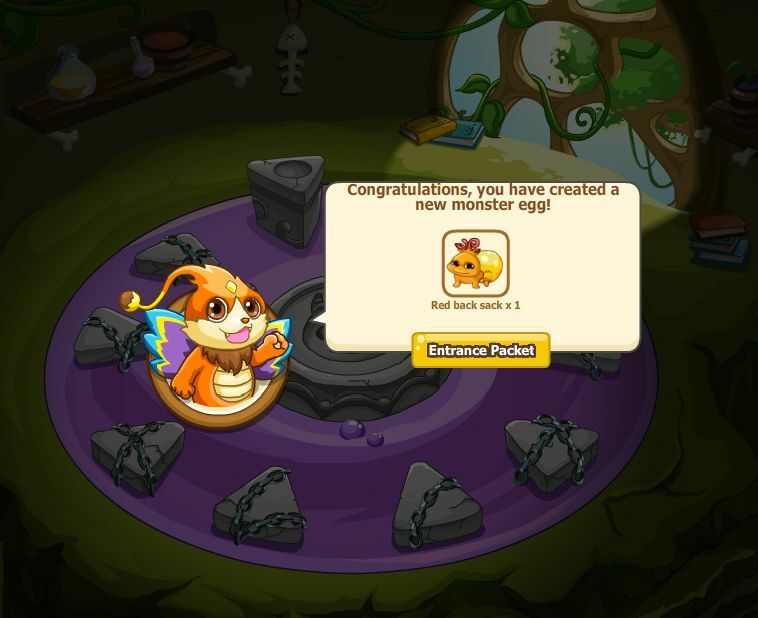 Some other points to mention: combination hints refresh every 60 minutes, so stuck players can get some in game hints, ability to upgrade roaming grounds by collecting various items expands grounds for more monster room. And the leveling system in a nice feature, slow level climbing stats but further down we will share some helpful strategies. All and all Monster's Planet is rather enjoyable, however we suspect it to be a major time thief, through many many little events that seem to be part of the bigger picture but are actually insignificant to the game, lots of time has flown by. There is a massive amount of monsters to discover, 1,175 Monsters by our count and it is expected to go up.Getting down to the bare facts, even for a player that is vigilantly managing their monster planet and has unlimited game resources, it would take an enormous amount of time to discover most of the monsters. 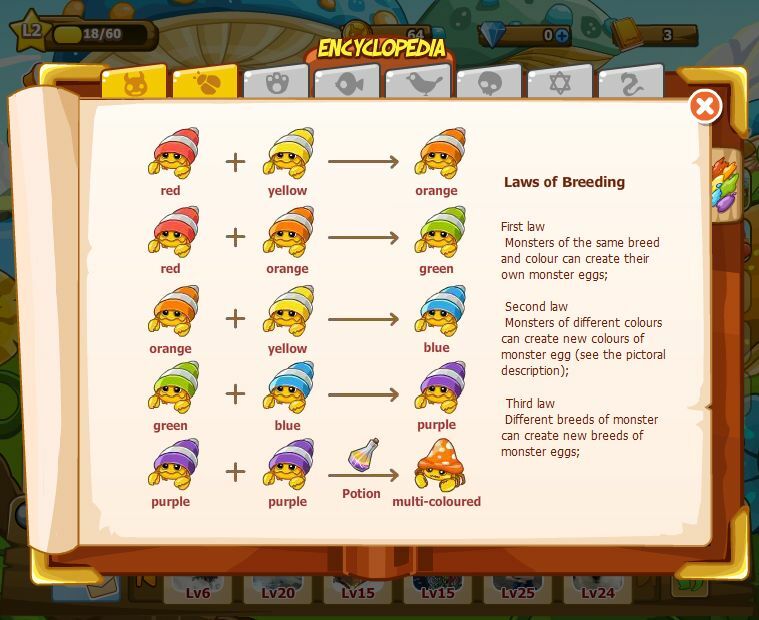 Not to mention that from what we've seen, the time requirement to breed eggs and harvest increases drastically. However this could be appealing or unappealing to different people. For someone who wants a game that is not at all competitive and is looking for simple fun, Monster's Planet could fit the bill. And if you are someone who is driven by competition and victory, Monster's Planet might not be what you're looking for. As I mentioned earlier, gaining levels can serve as a major road block in your planets development. So being more efficient in gathering experience can serve to give players more enjoyment out of the time invested. 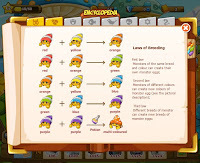 The simplest way to gain constant experience points is to buy eggs from the shop, hatch, extract and collect. Eggs are not expensive and return a portion of the initial investment (about 40%). This strategy involves more clicking but its simple and efficient. Note: Switch to another roaming ground, this will refresh the farmed roaming ground and expose previously none visible extractions/collections, the quicker you go through monsters the fast you can gain experience. The second experience farming method is to breed multicolor monsters, this is a more complex method but requires less attention to time. 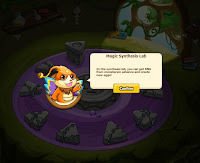 This method becomes more effective as you unlock more synthesis tables because it requires you to breed up from common colored monsters to the multicolor, which themselves give much more experience/coins than their single colored counterparts. The count down features on Monster's Planet is very buggy, more often than I could believe countdowns all over the system drop unexpectedly from a few hours to Completed. So take a few extra seconds to check on your different activities and it could pay off and save you hours. If an achievement or something random event transpires and you dont receive any notification, changing screens to a different island or feature then back will always refresh the notifications so you don't sit around waiting for the bus thats already left, or in this case something less mundane. **Please share your tips, strategies, comments for others to benefit from.